The team at Tollsmart is excited to announce some new enhancements to the web version of the Tollsmart Toll Caclulator apps for both cars and commercial vehicles like 5-axle trucks. 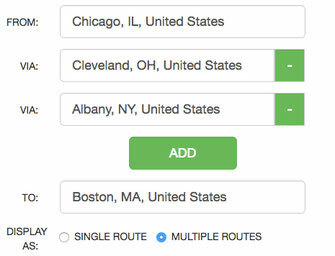 The newest version of these apps now support the ability to enter multiple stops along a route and to print a detailed list of the tolls encountered. These have been the most requested features from users since we launched these desktop versions of Tollsmart so we're excited to introduce them. Find more details below, and stay tuned for news on some more exciting enhancements we'll be launching in the coming months. 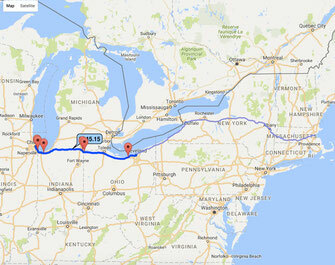 You can now enter up to 5 stops and Tollsmart will plot the route using each of the waypoints as a stop. 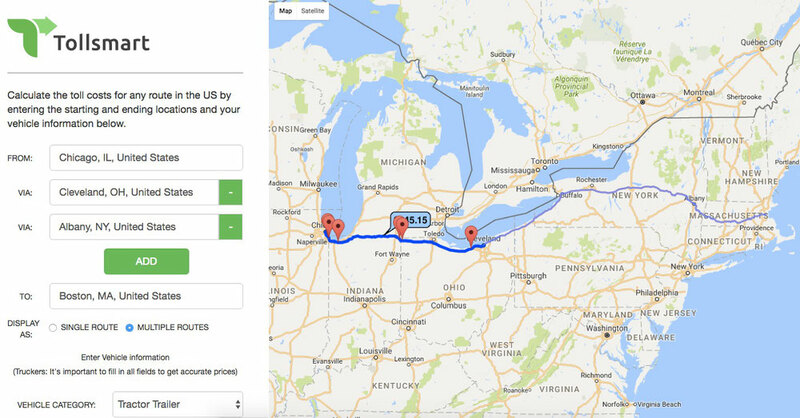 You can view the toll costs along the entire route or each leg of the route, which helps break down toll costs for different customers. 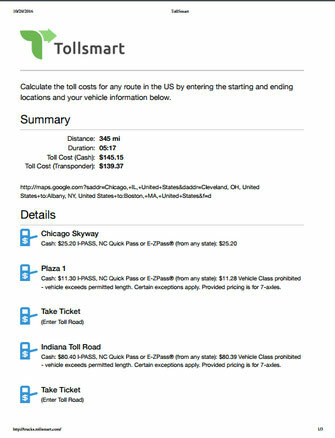 The new version also supports the ability to print the detailed list of tolls, broken down be each leg of the trip.